I’ve forgot how to breathe. Since my time in beautiful, but smoky Europe, I’ve been taking shallow, useless inhalations. In the beginning, it was because I didn’t want to inhale more smoke than necessary to keep my pulse going. Now, I think it’s because every time I use my Apple computer, I wait in anticipation for something bad to happen. It’s like watching a scary movie and you think the next scene is going to scare the devil out of you. Same feeling. Things are still not working right, but I’m not going to take my computer in until I deliver my manuscript on March 1, 2006. I’ve written 12 of the 50 chapters, and I back up my files hourly now. I’m averaging about four chapters a week. This is only possible because I have an amazing crew who’s supporting me. Sarah Naimark is my research assistant, she’s the one that forges through the vast mountains of information and books, so I can make sense of it all. Then there is Stephanie Block who directs and coaches me through each chapter. Sometimes I get so stuck on a word or a phrase and she’s the one to slap me out of it. The word for today was “darling.” She threatened to cause bodily harm if I ever use that word in my writing again. On Saturday, my husband and I are going on a much-deserved spa vacation. 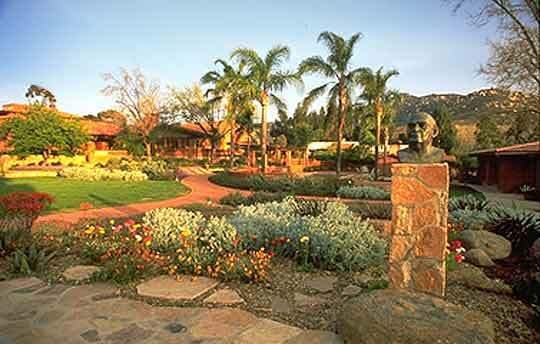 We’re going to Rancho La Puerta (http://www.rancholapuerta.com/) for a week. I can’t wait. My whole life I have dreamed about going there, but due to time and funds, it never happened. We’re skipping Christmas this year, this is our gift to each other. A pretty nice one I must admit! While there, my goal is to relax, rejuvenate, detox, and write a few more chapters. I’d love to truly rest my mind for a week, but that ain’t going to happen. I have 76 days to finish a 50-chapter book.